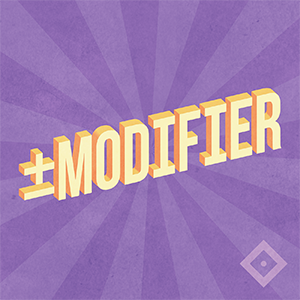 Modifier sits down with designers of all stripes and looks at what it takes to make a great game! With a focus on homebrewing and otherwise modifying existing games to meet your storytelling needs, these interviews dig deep into how changing the rules enables better storytelling. Hosted by Meghan Dornbrock. Jason Morningstar is here to talk about Fiasco In A Box, among many many other things. We chat about redesigning your own work versus redesigning that of someone else, as well as how to know when it might be time to pass the reigns. We talk about game formats, zero-prep RPGs, and social responsibility in game design. Aviv & Eran, the team behind webcomic Up to Four Players, are here to talk about their original Savage Worlds setting: Crystal Heart. We talk about their creative process, with game writing and comic drawing acting as supports and influences for the other, and about the emotional range of stories that Crystal Heart with Savage Worlds allows players to tell.